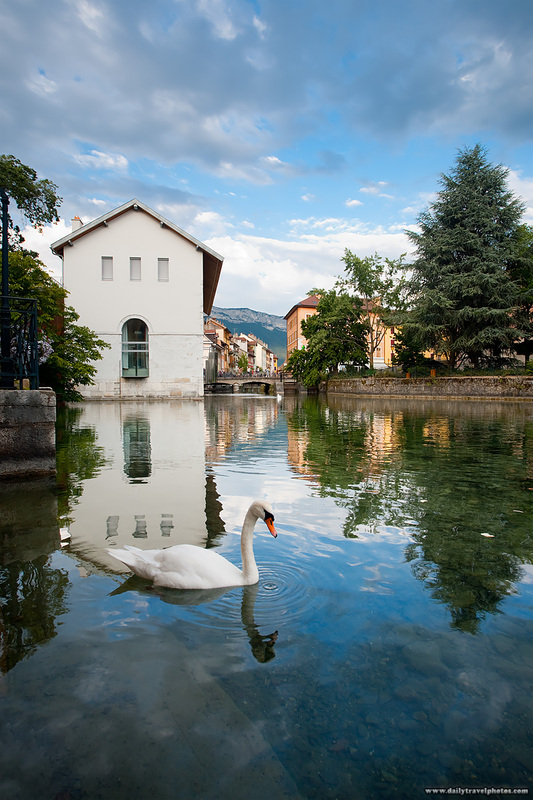 A swan wades around a canal in Annecy's historic city center. If you happen to swing through Annecy, keep a steady eye on these belligerent buggers. Your humble photographer was nearly mauled by the aggressive subject in this photo. 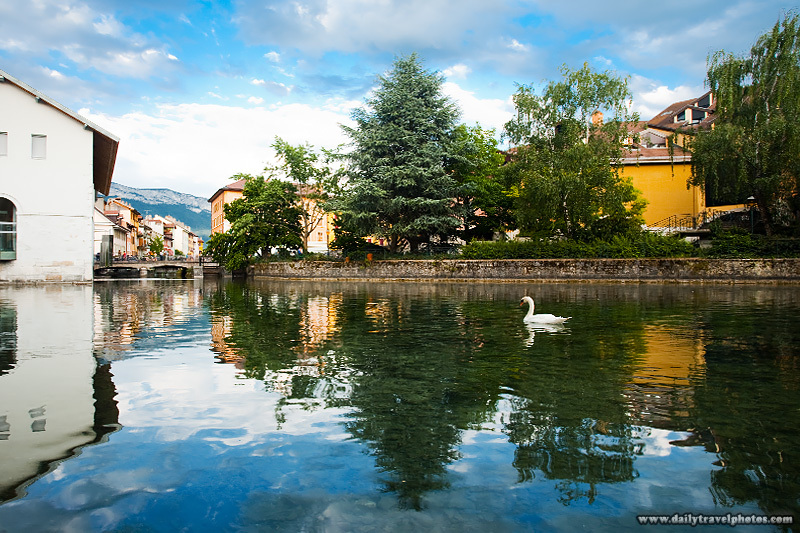 An aggressive swan in the main canal of the historic city center of Annecy. Yeah, you'd better slowly wade away!